We’ve been told that Tunisian intelligence services had been ‘monitoring’ one of the main suspects in the Bardo Museum shooting – one of many indicators that this latest ‘terror event’ in Tunis could have been staged. According to reports, authorities have arrested nine people in connection with Wednesday’s attack at the Bardo Museum in Tunisia. In an official statement by Mohamed Beji Caid Essebsi, four of the nine in custody are believed to be directly linked to the museum shooting. On Thursday, the overall death toll was said to have risen to 23 people according to Tunisian Health Minister Said Aidi, along with another fifty persons injured. Predictably, this latest event in Tunisia is not without some ‘questionable’, albeit, all too familiar activity taking place prior to the museum shooting. Firstly, the shooting took place at a museum right next door to the Tunisian Parliament who just happened to be in session and were proposing “new terror measures” during the incident. 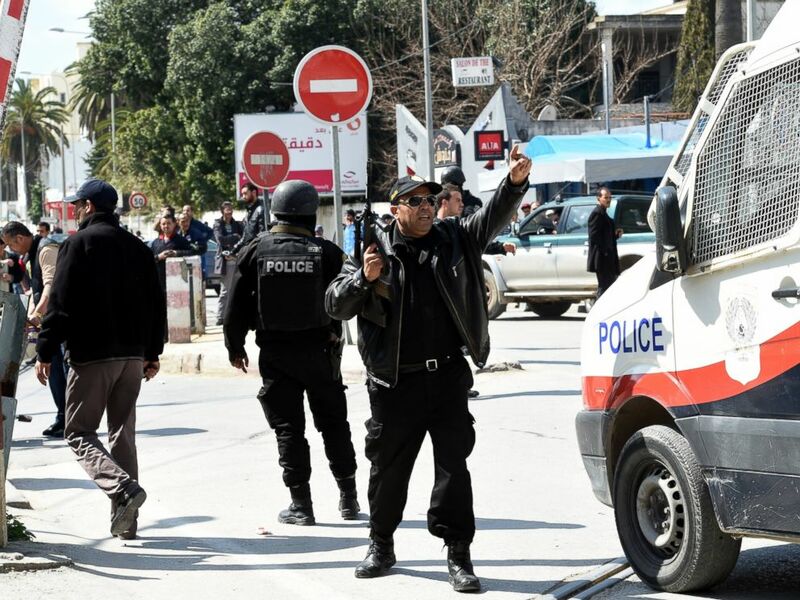 “Earlier Thursday, Tunisian Prime Minister Habib Essid identified two suspects, Yassine Labidi and Saber Khachnaou, in an interview with French radio station RTL. It’s not clear if those two men were the pair killed at the museum by Tunisian security forces, or if it’s possible they’re the same people as those identified — using new names — in ISIS’ audio statement. Time and time again, we’ve seen this same choreographed terror propaganda being pushed by mass media and authorities – only to be exposed at a later date. As 21 WIRE has noted a number of times, many so-called ‘terror events’ involve individuals being monitored by security services prior to an alleged act taking place. In fact, very often those being watched by authorities, depict all the tell-tale signs of a patsy or an informant, working either for a law enforcement or intelligence agency. Historically, government operators have often made use of low-life criminals, and mentally disturbed individuals. In this case, alleged terrorists and security agencies have a dicey relationship, making the recent shooting at the Bardo Museum in Tunisia highly suspect in nature. In less than a year, the public has been inundated with a number of theatrical shootings, such as the Paris Shootings at Charlie Hebdo, the aftermath that followed, along with Ottawa’s Parliament Hill shooting and the ‘Sydney Siege‘ which took place in December of 2014. – Suspect or suspects have alleged connections to terror or terror networks. – Suspect or suspects is seen to have ‘radicalized’ views on religion, feeding a prepackaged media narrative. – Sensational media projections to bring in additional story lines for dramatic effect. – There is an unknown motive for the crime committed – followed quickly by a ‘presumed’ motive without evidence. – Politicians, law enforcement and media call the incident a ‘terror attack’ before all evidence is reviewed. – A ‘claim of responsibility’ or a manifesto is conjured within 48 hrs of the attack. Other researchers believe that Tunisia has long fallen to prey to other intelligence operations, including with the 2002 attack in Djerba, Tunisia. The Tunisian attack also comes on the heels of the Corinthia hotel attack that took place in January. The two events are similar and feature some of the same players. The attacks were said to be carried out by the ‘Tripoli branch of ISIS’, according to the SITE Intelligence Group. The hotel was reportedly nearly empty as the ISIS linked group apparently could take their time during the choreographed attack. 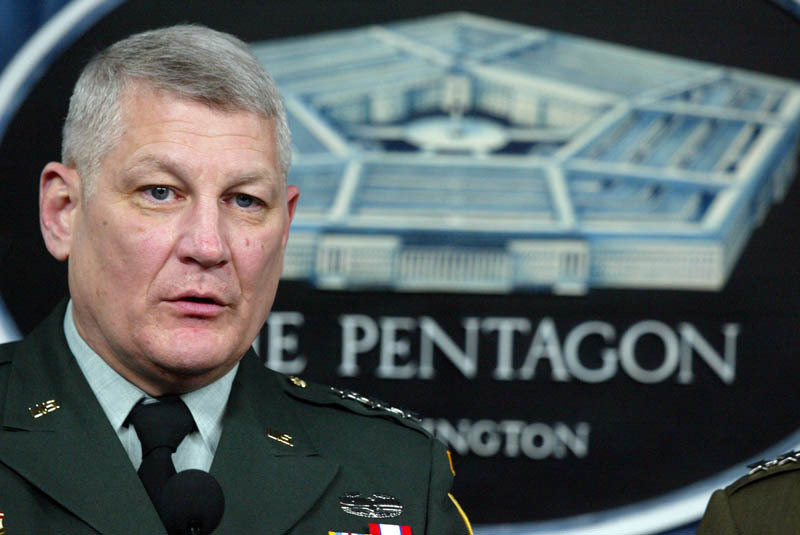 “Former Army General Carter F. Ham had met with Tunisian leaders prior to his retirement in March of 2013. Carter was second in command under AFRICOM, and took the lead on the 2011 Libya invasion. “The United States guided the “Jasmine Revolution” in 2011, when Ben Ali was forced from power. The United States has been known to support uprisings through NGO’s, as they seek to gain control in the aftermath of a regime change. The Washington Institute for Near East Policy (WINEP), is linked to the American Israel Public Affairs Committee, and is a known pro-Israel think-tank. J Scott Carpenter is an adjunct scholar at the Washington Institute for Near East Policy. The three-hour attack took place at the Bardo Museum in Tunisia’s capital on Wednesday. As a result 23 people died, including 18 foreign tourists, five Tunisians and two gunmen, Health Minister Said Aidi said on Thursday. Fifty more were injured. Among the foreigners killed were one British national, three Japanese, two Colombians, two Spaniards, an Australian, a Pole and a French citizen, according to the Tunisian PM Habib Essid’s statement.